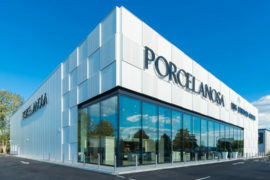 PORCELANOSA Grupo, the internationally respected, creative and dynamic ceramic manufacturer (whose portfolio includes furniture, kitchen and bathroom wares), places environmental awareness and sustainability at the core of its design mission: this practice is evident throughout every one of its companies. PORCELANOSA’s Ecoproject considers the absolute importance of air, energy, water, recycling and nature/ecology, across its manufacturing processes. 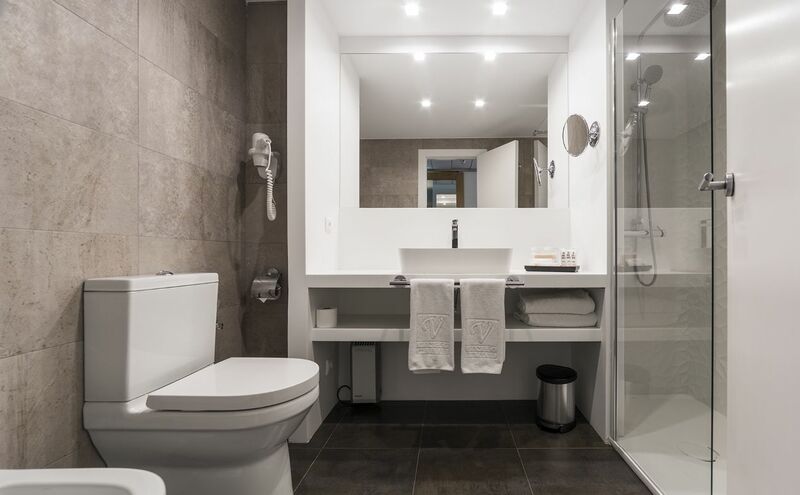 PORCELANOSA Grupo has invested in improving the efficiency and sustainability of its facilities: to date, one-third of the electricity used by the group in its various processes is powered by its own cogeneration systems (generating electricity and useful heat simultaneously). Furthermore, PORCELANOSA Grupo’s plants and facilities have been designed and duly equipped to safeguard future needs and generations. For example, there is the usage of low-energy lighting, improvements in the use of natural light and a commitment to geothermal energy. Watch this short video about energy, a part of PORCELANOSA’s Ecoproject. Left unchecked, water scarcity poses a threat to future humankind. 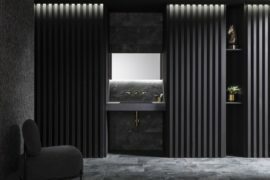 PORCELANOSA Grupo understands this grave predicament: it ascribes a true value to water as a commodity and recognises the significance of purifying and recycling water for industrial use. 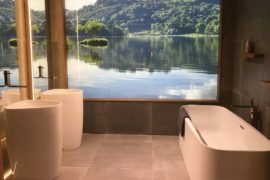 Consequently, PORCELANOSA has around a dozen plants dedicated to the treatment of water; moreover, it has systems that provide for the use of 100% recycled water in grinding and moulding processes. PORCELANOSA Grupo is greatly concerned about water pollution—every year, 6.4 million tons of waste end up in the world’s seas and oceans. A serious problem that must be tackled, PORCELANOSA has committed to dumping zero industrial waste. Watch this short video about water, a part of PORCELANOSA’s Ecoproject. Recycling is a further cornerstone of the group’s sustainable development philosophy. Today, all of the waste from PORCELANOSA’s floor tiles is incorporated back into the process (following reprocessing). PORCELANOSA’s Krion® Solid Surface compact mineral, with its numerous applications, is both environmentally friendly and 100% recyclable. Watch this short video about recycling, a part of PORCELANOSA’s Ecoproject. Each and every year, around 13 million hectares of forests cease to exist; as a consequence, wood is a material of substantial environmental concern and must be used responsibly. 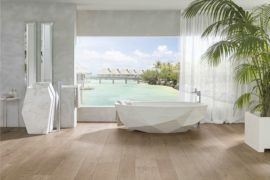 PORCELANOSA has introduced a wood ‘chain-of-custody’ control system. PORCELANOSA Grupo performs much research into the development of high-tech building systems, including ventilated facades (which contribute to a 40% saving in a building’s energy expenditure). Watch this short video about nature, a part of PORCELANOSA’s Ecoproject. 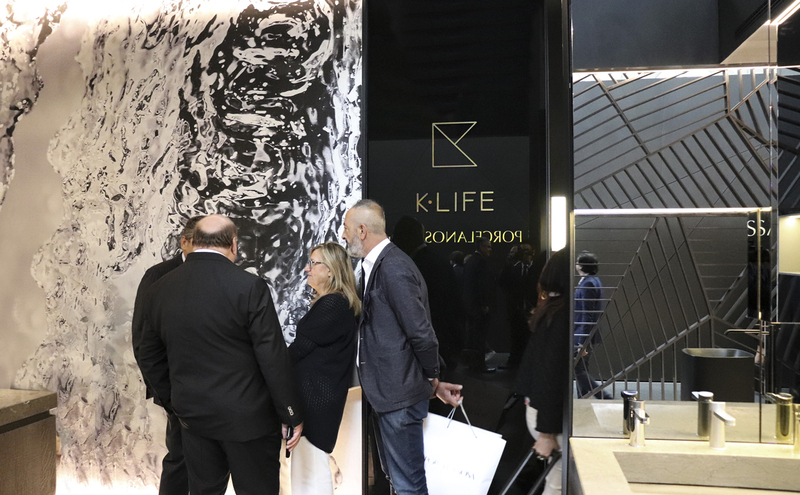 PORCELANOSA recently launched K-Life, a new sea change in surface technology. Developed with the company’s Krion® Solid Surface, K-Life is manufactured with Krion® Eco-Active Solid Technology (KEAST). A qualitative breakthrough that takes Krion® to the next level, it has an especially ambitious objective: to improve quality of life and well-being. K-Life’s additional innovative properties act to purify the air, improve anti-bacterial protection (by repelling bacteria and removing them progressively), eliminate chemicals (such as food pesticides) and facilitate easy cleaning (lessening the need to use detergents). 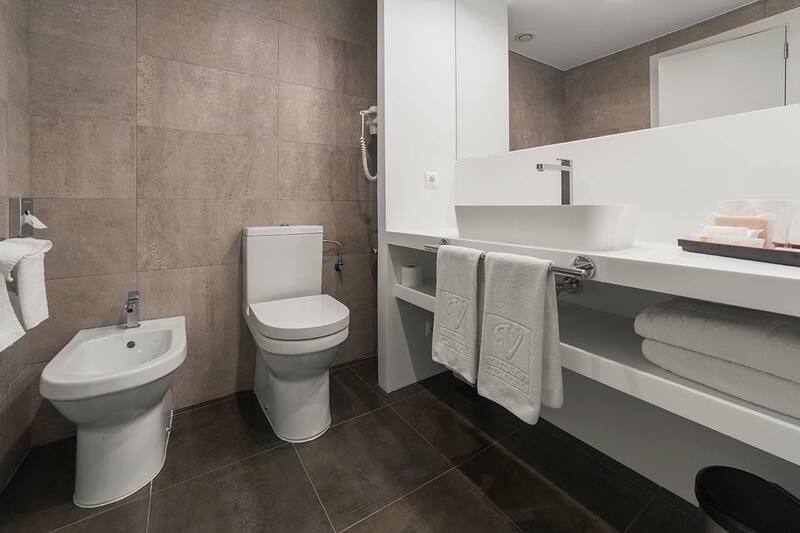 Bathrooms, kitchens or just about any other pieces of furniture created with KRIONK-LIFE purify the air through PHOTOCATALYSIS; contact with either natural or artificial light activating the components found throughout the material, purifying the air breathed by 6 people in one year for every 1m2 of K-LIFE. By employing the concept of photocatalysis—the acceleration of a chemical reaction by light—K-Life neutralises modern-day pollutants such as nitrogen oxide, sulphur dioxide and volatile organic compounds, so improving air quality. 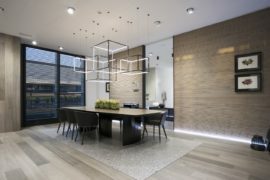 When exposed to any kind of light, K-Life’s unique properties are activated, setting in motion a self-cleaning process and air regeneration. In fact, just one-square-meter of this material will purify enough air for at least six people to breathe over the period of a year. Extrapolate this result and K-Life could, in effect, give rise to considerable environmental improvements across urban conurbations and in city centres. There really are no limits to K-Life’s application. 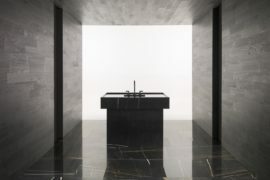 Indeed, PORCELANOSA Grupo’s commitment to Solid Surface research is resolute—its view of the future is one that will improve quality of life for all.